Human rights activist, Steve Hynd, is soon to embark on a speaking tour where he will be talking about his experiences from his time in the occupied Palestinian territories. 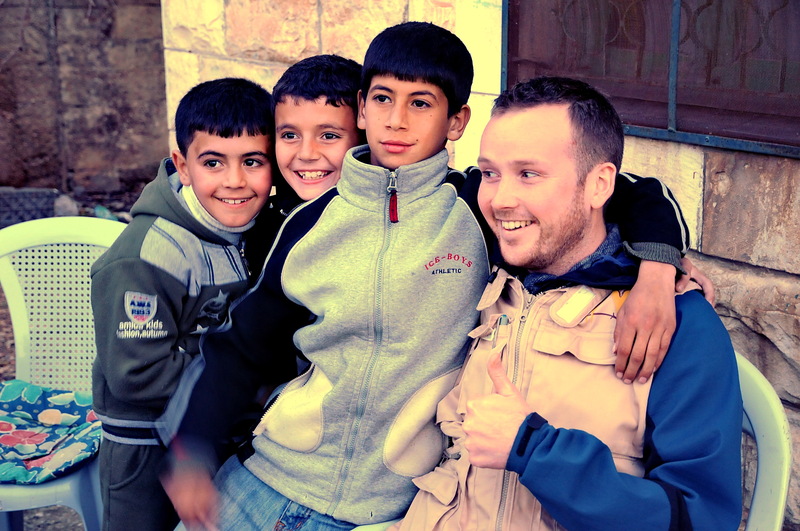 Hynd, 26, has just arrived home after spending 5 months in the West Bank. He was serving alongside participants from all around the world as part of a scheme coordinated through the World Council of Churches. 3) Photo shows Steve with three local boys from the village of Jayyus where he was stationed for three months. If your speaking tours are anything like your blogs, they will be phenomenal! I wish you lots of audiences and a brilliant reception!